The Ultimate Hollywood Experience Awaits You! Created with the help of the renowned auteur Steven Spielberg himself, the expansive Universal Studios Theme Park in Hollywood is a must-visit place on many people’s bucket list. Situated up the hill from the glittering world of Tinseltown, Universal Studios Hollywood is a family-friendly site dedicated to help you experience movie magic at its finest. Offering world-class attractions, shows, and a fine dining experience like no other, Universal Studios theme park is all about experiencing the world of your favorite movies and your favorite characters firsthand. So, hold on tight as Universal Studios Hollywood takes you along for the ride of your life! Want to get the best possible experience at the world’s biggest movie studio and theme park? Five Star Private VIP Tours has just what you need! You don’t have to be a famous celebrity to get the red carpet-treatment at Universal Studios in Orlando, FL; with our VIP Private Assistant tours, you can experience the resort like a star! We take you through the most popular attractions and rides the park has to offer. From the magical Wizarding World of Harry Potter to Despicable Me Minion Mayhem; you’ll get to see it all. Five Star Private VIP Tours has a variety of attractive packages for everyone. The Studio Tour at the Hollywood theme park is perhaps its most iconic attraction. 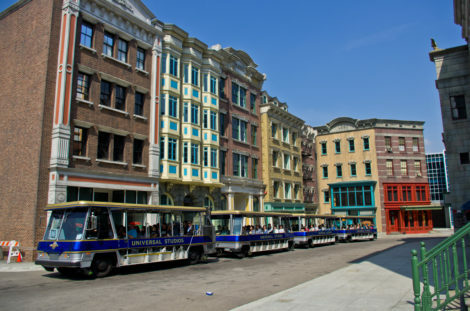 Narrated by the beloved late night show host Jimmy Fallon, the Tour offers visitors a chance to get a glimpse of the working backlot of a Hollywood movie studio. Revisit the magic of past blockbusters, such as Psycho, War of the Worlds, Jaws, and more. You don’t have to wait for your Hogwarts letter to be able to get a chance to visit the magical world of Harry Potter. Universal Studios Orlando brings you a real life recreation of the magical world of our favorite wizard. 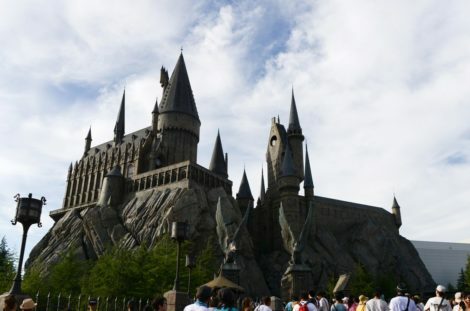 Complete with the Hogwarts Castle, the quaint Hogsmeade village, plus a few magically thrilling rides, the world-famous attraction is a dream come true for Harry Potter fans worldwide. 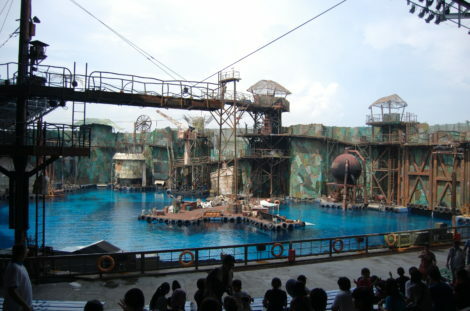 Complete with soaring jet-skis, massive explosions, spectacular pyrotechnics, plane crashes, boat fights, and what not; the WaterWorld show is a thrilling joyride. Offering a pulse-pounding ride of a lifetime, you have to see it to believe it. From The Simpsons to SpongeBob SquarePants, Universal Studios Hollywood has all out beloved cartoon characters in one place. 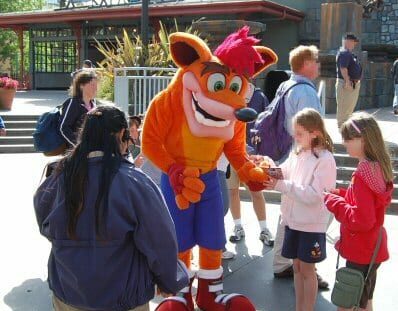 Kids of all ages, and even adults, can get to experience the joys of childhood by interacting with our favorite ‘toons! No matter what park you wish to visit, Five Star Private VIP Tours will help you breeze through the world of magic, wind through the jungles, take a tour around Hollywood and visit the future, making you the happiest person in the happiest place on earth. With no waiting in lines, we take you directly to your favorite high-thrill rides, gorgeous trails, breathtaking performances, thousands of animals, and all your favorite Disney characters. Visit during the holidays, during the summer, when the kids are out of school, or if you have something to celebrate—just be sure to book your tour with Five Star Private VIP Tours to make the most out of whichever park you choose to attend. Also offering specials on multiple day tours, we make your experience travelling to Disney World worth a lifetime with an all-inclusive package that includes luxury transportation at an additional cost. Book a tour with us and take your imagination on a wild ride you and your family will never forget. For more information regarding our exclusive private VIP tours to Disney World, please contact us today! Disney World’s Epcot in Florida has two areas; Future World and World Showcase—both with very distinct attractions and experiences to offer.